Post-traumatic stress disorder (PTSD) provokes suicide in an average 20 veterans every day, and the U.S. Department of Veterans Affairs is trying to understand and prevent those deaths. Psychologists and psychiatrists are studying the relation between veterans suffering PTSD that took their life and those who also suffer the mental disease but manage to overcome it. In an effort to avoid more veterans suicide, the New York Psychiatric Association is trying to educate primary care doctors to diagnose and prevent PTSD because they are often the only medical help veterans seek. In a recent study published in August, the veterans administration found that an average of 20 veterans took their life every day in 2014. 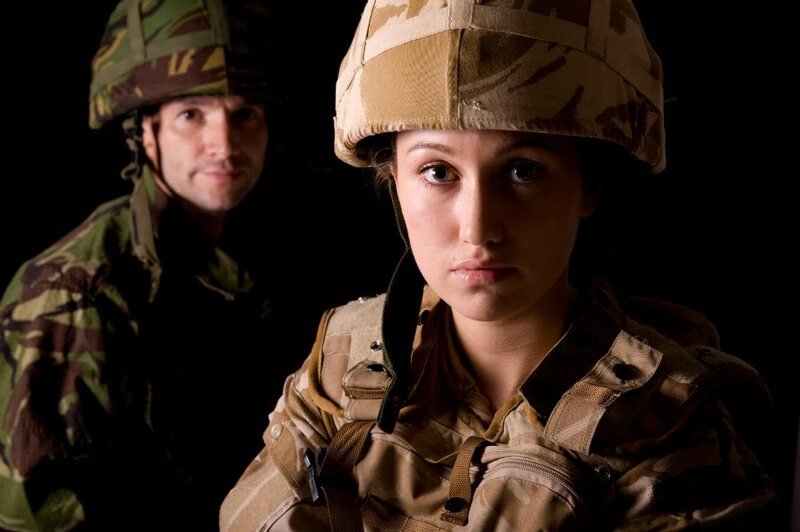 It is believed that PTSD causes the deaths, although not all veterans were diagnosed with the condition because they hardly never seek mental help or realize they need it. PTSD is a shocking and dangerous condition that happen to those who have lived a traumatic situation. People suffering PTSD feel their life or other’s lives are in danger and it affects people’s ability to function. PTSD can lead to other mental conditions such as alcoholism, drug addiction, insomnia, psychiatric diseases, and suicide. It can happen to anyone, but it is more common in people that have gone to war, like American veterans. Researchers are working hard to understand what exactly, apart from the experience of war, is causing veterans to end their lives. The human mind is known for its ability to recover, but what scientists are trying to figure out is why some veterans with PTSD can overcome their condition while others cannot and eventually decide to take their lives. One of the causes could be a repeated exposure to a traumatic event, but studies have not confirmed this factor as the trigger of the numerous suicides among vets, yet. Another sign that could warn that a veteran suffering PTSD is going to commit suicide is that if the veteran had already tried to take his/her life before. Some studies have found that 30 percent of veterans that took their lives had already tried it before. The thing is that the other 70 percent never tried it. Thus, another sign must be identified to prevent veterans deaths. An important fact is that the majority of those vets that died by suicide never saw a mental health professional and only visited a primary care physician in the month before they took their lives. This discovery has made the New York Psychiatric Association to start a campaign to educate primary care doctors about prescribing antidepressants as an effort to reduce the number of veterans that commit suicide as a consequence of PTSD. A better diagnose could save more lives, but family and friend also need to be educated about the condition to help their veteran loved one. People in contact with a veteran must be alert to early identify risk factors that could lead the veteran to suicide. Insomnia, alcoholism, drug abuse, and financial, legal, or relationship issues are often leading causes of suicide. Isolation is a vital sign that precedes it, and family and friends must be cautious when this happens and immediately seek professional help. There are various VA’s suicide prevention programs that help veterans and their family members to cope with PTSD. Veterans are taught to control their emotions and families are trained to develop a safety plan in case the veteran feels suicidal. Security plans include emptying the medicine cabinet and securing any gun in the house. Psychiatrists realized that the condition is a risk for any person exposed to traumatic situations, including victims of violence, first responders, firefighters, ER doctors and people who work with patients and prisoners of war and refugees. But only 8 percent have been diagnosed with PTSD because there is little education about mental health and seeking help is often seen as a weakness among professionals working in traumatic environments.